So You Want To Start Your Own Business in Spain? For starters, what you need to determine first is whether you want to create a Sociedad Limitada (SL) or a Sociedad Anónima (SA). An SL is similar to the American 'LLC' or the Bristish 'Ltd' . In Spain the most common form is the Sociedad Limitada (SL) due to that you only need 3006 euros to create a company, whereas in the SA that amount comes to 60.000 euros. I recommend an SL, which is what my partners and I chose when we launched the social networking site: Revivelanoche.com. 1. Certificación Negativa de Nombre. Before you can create your company you must decide what it will be called to assure the name is not already taken. For this you will need a certificate called a “Certificación Negativa de Nombre.” This can be bought in the Registro Mercantil for about 10€. 2. Obtain a Código de Identificación Fiscal. Next you will need to get a C.I.F. (Código de Identificación Fiscal) which will be your company´s identification number. This you can get at the Delegación de Hacienda by presenting a filled-out 036 form as well as a photocopy of your Certificación Negativa de Nombre and the Documento Nacional de Identidad (D.N.I.) 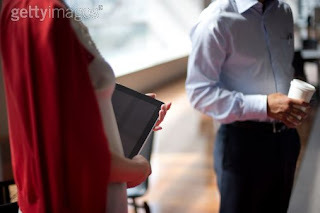 of the person interesting and involved in the creating of the business. You will then need to deposit 3006€ in a bank account (Banco o Caja de Ahorros) opened in your company's name. Be sure to get a certificate from the bank stating that you have made the deposit. 4. Articles of Incorporation before a Notary. * The partners: name, address, occupation, marital status, and marital regime. * The name of the society that is being constituted. * The purpose, that is, what activity your business will engage in. * The subscribed capital: Depending on the type of society it will be required to be or not fully paid and may be not only in cash, but also in real or personal property. It must also state how much of the capital is subscribed and paid by each of the partners and the number of shares (corporation) or interests (limited partnership) that divide it. * The rules for transferring the shares. * The board of directors of the company: The choice of the positions and powers. * The statutes by which the society will be governed. * You must submit to the Notary the following documents to authorize the signing of Escritura: Certification of Name issued by the Registro Mercantil, the bank receipt of having deposited the Social Capital and the CIF. You need to ask the Notary to give you 2 additional copies as well as the authentic copy, simply because those 2 copies will be deposited in the “Delegación de Hacienda de la Comunidad Autónoma “ a.k.a Treasury Office of the Autonomous Community when it settles the Property Transfer Tax and Stamp Duty and another when requesting registration of the company in the Commercial Register. The price of the Articles of Incorporation is set by the tariffs of the College Attorney and thus depend on the social capital of the company that is established and the extent of the writing itself. Be prepared to spend anywhere from 200 to 1000€. 5. Pay the Transfer Tax and Stamp Duty. This payment will be 1% of the initial capital, which will be the 1% of the bank deposit you previously did. This should be done at the Delegación de Hacienda de la Comunidad Autónoma using the form 600. Remember to bring the original Escritura, 2 copies of this same document and a copy of your CIF. 6. Registration and Publication in the Registro Mercantil. Once the Transfer Tax and Stamp Duty have been made, you may now register your company in the Registro Mercantil. To do this you will need to provide the first copy of the Escritura will be returned to us upon registration, a simple copy of the Escritura which will be filed by the Registro Mercantil, and the proof of having paid the transfer tax and stamp duty .In the Registro Mercantil you will have to pay the registration as well as the amount of its publication. 7. Declaration that you will begin activities. At the Delegación de Hacienda you will need to fill in the following forms 036 and IAE (a declaration of starting your activity). 8. Registration in the Tax on Economic Activities (Model 845). This will also be done at the Delegación de Hacienda. In this 845 form you will need to indicate the following formation: The Company, the code or title of the activity (to be completed by the staff themselves if you don’t know), date of the start of business activity, locations, etc. 9. Registration of the company in Social Security. This will take place at the Tesorería General de la Seguridad Social a.k.a. General Treasury of Social Security by filling the appropriate form. You will need to provide, in addition, the CIF of the company and all of this is done on the spot. It is legally required to be registered in the Régimen Especial de Trabajadores Autónomos a.k.a. 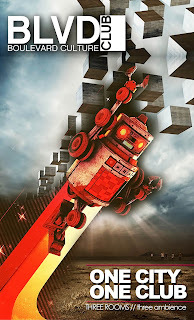 the Special Regime for Autonomous Workers those who will exercise the functions of management that involves the position of director or administrator, or provide other services for a corporation you are creating. Record books of registration and legalization need to be stamped by the Labour Inspectorate. In these record books the employee information will be maintained as well as, if the case occurs, the visitations by the Labor Inspectorate. This application for registration in the Registro de Actividades y Empresarios Comerciales a.k.a the Registry of Activities and Commercial Enterprises should be performed, as in the previous case, before the Consejería de Trabajo a.k.a. the Department of Labor or, if applicable, Dirección Provincial de Trabajo a.k.a. Provincial Department of Labor..
* Plot and layout of the location of the business: It is issued by the Planning Department, upon payment of the fee. * Plans of the floor in which to locate the emergency exit, fire extinguishers and existing furniture. * Sketch of the local situation. * Assessment of the facilities available in the local. * Report describing the activities that will take place. * Receipt of having paid municipal taxes. * The amount of the fees to be paid will depend on the size of the business plot and business activities that will take place. Sometimes it is not necessary that the plans are endorsed by the College of Architects and Quantity Surveyors. To hire workers you only need to complete and submit the form of the workers that have been registered previously at the Régimen Especial de Trabajadores Autónomos. This form should be presented to the Tesorería General de la Seguridad Social a.k.a General Treasury of Social Security. This form must be signed by the legal representative of the company and needs to accompany the employee’s DNI. From the date of registration in Social Security, the company will have a period of 10 days to submit their employment contract in the Instituto Nacional de Empleo (INEM) a.k.a. National Employment Institute (INEM). Will all this said and laid out for you, I do strongly advise and recommend for those of you who have a limited capacity for speaking Spanish to seek the assistance of an attorney to have the proper legal advice. This will surely also save you time, paperwork, and help solve any questions and doubts you may have. Lastly, immediately after you have all the paperwork ready and have constituted your SL, don’t forget to hire the services of a tax accountant. It's not very often that one would get the chance to see and hear the National Philharmonic Orchestra of Moldavia play Vivaldi's The Four Seasons, as well as some of Pachabel´s masterpieces, inside an impressive Catalan Modernist-style building. That combination is unique and the experience a rare treat. 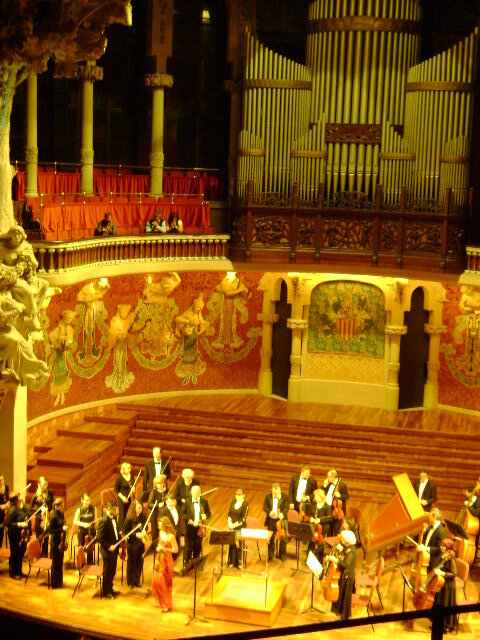 And yet there I was, enjoying the evening, relishing these musical treasures, among them one of my (and wedding) favorite: Pachabel´s Canon in D. All this took place last night, December 6 at Barcelona's modernist gem the Palau de la Música Catalana. The night was magical, the music flowed throughout the Palau and the experience was uniquely enchanting. The audience, many tourists, but mostly Catalans - came elegantly dressed for the occasion, as is common for events at this sophisticated venue. For the second part of the show, violinist Ema Alexeeva impressed the audience in both her technique and elegance; well-deserving of the standing ovation at the end her performance. The Palau de la Música Catalana offers an impressive line-up of events definitely worth checking out during the December month leading up to the New Year. You can get daily guided tours of the Palau if you prefer a daytime visit, but there is really no better experience than catching a live show. Some of the material from last night I'm posting here. Sorry about the the quality of the photo/video as my camera was only an outdated and stubborn Sony Cyber-Shot with limited zoom capabilities from my second floor location. 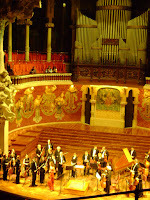 For other Youtube videos of past performances at the Palau click here: Youtube Videos Palau de la Musica Catalana. Salu2! Ok, so its Monday. We all know what that means. The weekend is behind us and another stressful 5-day work week lays ahead of us. Mondays are tough people, we can all agree. So the best remedy for this is to spice up the night and head over to a wonderful late-night location, guaranteed to burn away your Monday blues and help you relive those glorious moments you experienced over the weekend. The venue? 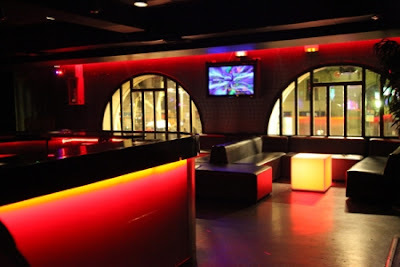 Barcelona's fun sanctuary; centrally located and right off La Ramblas, and better known as BLVD (Boulevard Culture Club). The party? Monday night's Kiss Kiss Bang Bang. This uber-alternative discotheque, with multiple levels and rooms, bangs out Hip-Hop, R&B, Rock and Dance hits for all tastes and ages. Its easy to get lost in the retro atmosphere and sip, sing and dance the night away. So bring your trucker hat or Ray-Ban sunglasses, order yourself a Heineken and get jiggy with it. Need help getting in? No problem, Revivelanoche.com offers Guest Lists services for several clubs in the city that will grant you access and help you get in for free or with a discount. Here is the one for Monday nights´s Kiss Kiss Bang Bang. Now, go loudly into that good night!